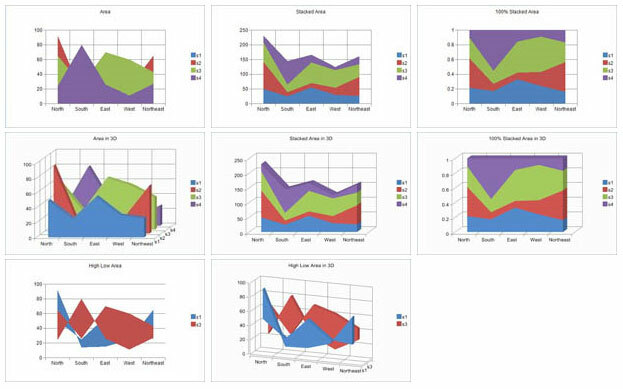 The world’s most popular ASP.NET spreadsheet component...now with Dynamic Data support!Use our ASP.NET spreadsheet component to add full-featured spreadsheet capabilities or highly advanced grid functionality to your ASP.NET applications. Our award-winning Spread for ASP.NET frees you from spending tedious hours coding features that are missing in other grids. In Spread for ASP.NET many of those features are only a property setting or line of code away. Take the product tours, read the whitepapers, or download your evaluation today. You can import data from and export data and formatting to Microsoft Excel in its native format, both individual spreadsheets and entire workbooks. You can save data to an Excel-formatted (BIFF8 format) file or stream. 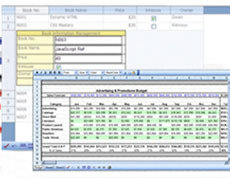 There are several SaveExcel methods each with several options. For instance, you can specify whether headers are saved with the data using the setting of the IncludeHeaders enumeration. You do not need Excel on the server for Spread to display your Excel files. AJAX allows the component to refresh without refreshing the entire page. You can add AJAX support to the FpSpread component by setting the EnableAjaxCall property. This affects several features including expanding and collapsing child sheets in a hierarchical display, column sorting, inserting rows, and paging. If the ClientAutoCalculation property is true, then after a cell value is changed, an AJAX call is made to the FpSpread component. Then the component calculates the formulas and sends the values to the client side. The component then updates the values at the client side. You can customize the user experience for filtering data on a sheet. With row filtering, you can allow the user to filter the data in columns on a sheet and display only the rows of data which meet criteria from a drop-down list or change the appearance of rows based on that filtering. You can use the basic default filtering or you can customize practically every aspect of the filtering. Spread makes it easy to display and edit your hierarchical data. 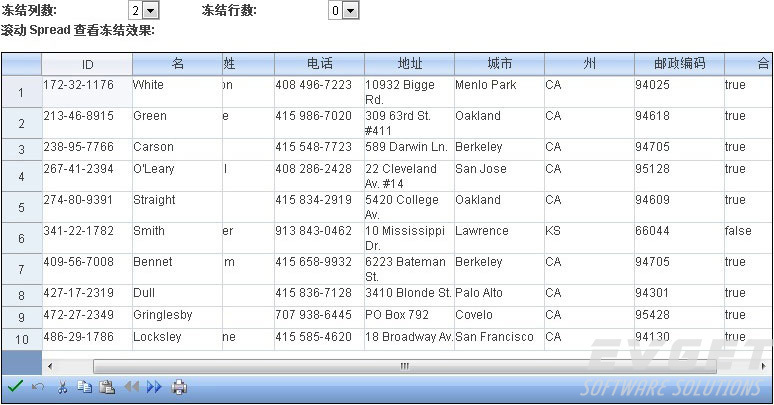 Simply set up your dataset with relations and set the HierarchicalView property to True. That’s all it takes to display your data. You have full customization at the child level if you want to hide columns, change colors, etc. You can also choose from two hierarchy views: Hierarchical View and Parent Row View. Spread includes our robust Spread Designer, a user-friendly design-time environment that allows you or your web designers to quickly configure the look and feel of the Spread control with no coding required. You can search for data in any of the cells in the workbook by specifying the sheet and the string of data for which to search. You also have several searching options you can choose from. You can now allow the Web page to load on demand -- as the user scrolls further down the spreadsheet the FarPoint Spread component on the client loads another page of rows from the server as needed. This is similar to what would was called "virtual mode" in the COM version of the product. You can specify the number of rows to load initially and how many to load in subsequent loads. You can specify those properties at the component level (for FpSpread) or at the sheet level. You can set up conditional formats within cells that determine the formatting of the cell based on the outcome of a conditional statement. You can use a named style to specify various formatting options such as borders and colors to apply if the condition statement is valid, that is, if the operation is satisfied. 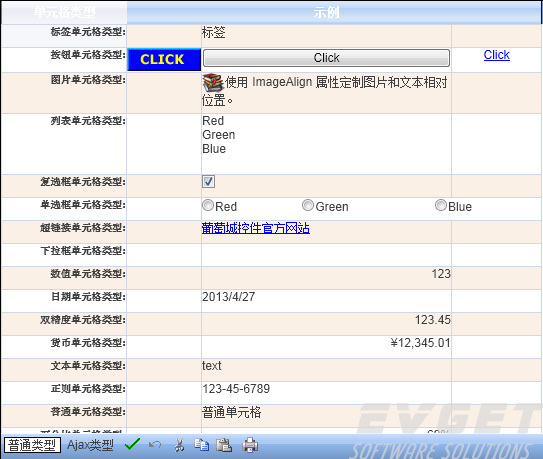 For example, you may want to change the background color of a cell based on the value of the cell. If the value is below 100 then the background color would be changed to red. The condition statement is “less than 100” and consists of a comparison operator “less than” and a condition, in this case a single constant “100”. The condition can be a constant (expressed as a string) or an expression. Some condition statements have two conditions and an operator: for instance, if the cell value is between 0 and 100, then change the background color. In this case, the comparison operator is “between” and the first condition is 0 and the last condition is 100. For a complete list of operations, refer to the ComparisonOperator enumeration. Spread includes a powerful calculation engine that allows you to quickly add formulas to your web applications by using any of over 300 pre-defined functions or you can add your own custom functions. Spread also supports cross-sheet formula referencing. 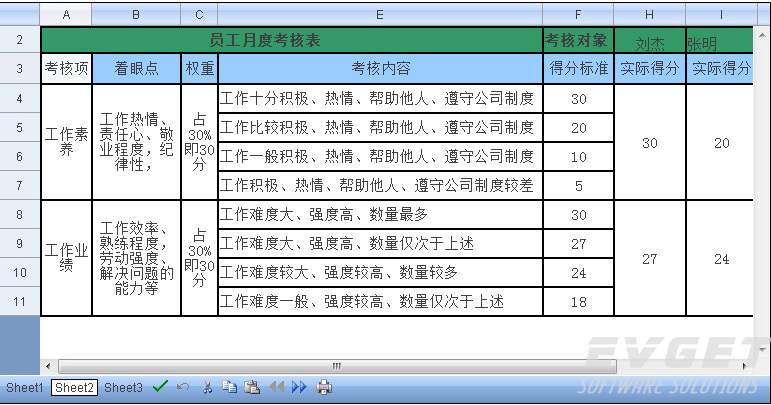 In the below sample, formulas are in the 'Total Due' column and the last totals row. Enter or change a formula in a cell - "=SUM(A1:A3)" - then press the Update image link (the checkbox at the bottom left of Spread) to view your changes. Spread includes 18 cell types that help make it easier for your user to enter the data you are expecting. 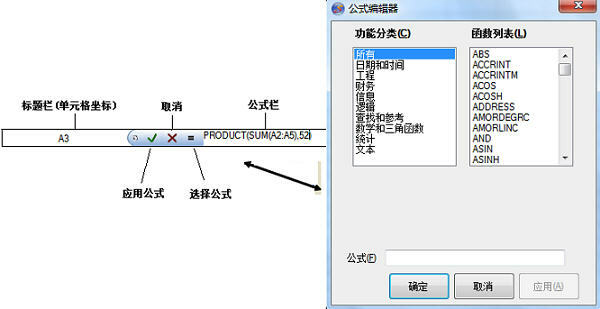 You can customize what the user can select by working with the operation mode of the sheet. By default, the component allows users to select a cell, a column, a row, a range of cells, or the entire sheet. The MultiRangeSelection property allows the user to select multiple discontiguous blocks with the control (Ctrl) key and the mouse. You can have Spread automatically merge cells between columns or between rows if the cells have the same value based on the policy that you set. The control can automatically combine cells that have the same contents. You might want to do this for easier viewing of the data, for example, when bound to a database. Unlike spanning cells, merging is an automatic feature. You tell the control which columns and rows allow cells to be combined automatically, and any cells within that set that have the same contents are combined for you. Moving columns just got easier.You can allow your users to click on the header of a column and drag it to another location on the spreadsheet. You can set this with the AllowColumnMove property in the FpSpread class.